Sister Therese Multz was in the first class at the College of Sister Formation in Issaquah, Washington, but getting there was not easy. Graduated from St. Joseph Academy and a freshman at Yakima Valley Junior College, she was determined to enter the novitiate. However, resistance was strong in the first-ever Multz family meeting called to discuss it. She finally assented to a one-year delay. “I knew it would be a year of temptations; that the devil would be chasing me, and he did,” Therese explained, “but I wanted it so badly.” A year later, when her parents delivered her to Mount St. Vincent, Seattle, her father gave her a box of chocolates, something he thought she’d never see again. Charlotte Therese Multz was the middle child of five children born to a third-generation Yugoslavian family in Sioux City, Iowa, and moved to Yakima at age 5.Taught by Dominican sisters at the parish elementary school, she got serious about religious life as a high school junior. She professed first vows in 1959, taking the name Sister Victoria because her father’s name was Victor. 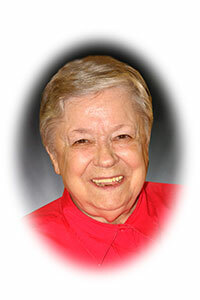 Her first mission was teaching fourth graders in Tacoma for one month to replace a sister who was ill. She returned to the sister formation program in Everett, Washington, and then moved into the new College of Sister Formation in 1961. For 20 years she taught primarily in the middle grades and in all subjects in Tacoma, Vancouver, Yakima and Seattle, Washington; Burbank and Sun Valley, California; and Fairbanks, Alaska. A special thrill, because of her love of drama, music and dance, came in Sun Valley when she was charged with putting on the intermediate grades’ Christmas program. Moved by the children’s personal needs that she witnessed, Sister Therese went to Leslie College in Cambridge, Massachusetts, to earn a master’s degree in psychology. That proved providential when a serious head injury ended her teaching career because she was able to become a mental health therapist with a specialty in using creative arts in healing. For a year she was the only woman at a group home for criminally delinquent boys on the San Juan Islands and then she became activities director for the sisters at Mount St. Vincent. She also was one of the founders of Youth Associates of the Providence Sisters (YAPS), a ministry group based at Kennedy High School for junior and senior high school students doing community service work in the late 1980s. Sister Therese also served in ministry at a psychiatric hospital in Kirkland, Washington, and was a volunteer at the Women’s Drop-In Center in Spokane before her move to St. Joseph Residence, Seattle, and a ministry of prayer and presence.